Home › Tech › Not all HDMI cables are created equal? Not all HDMI cables are created equal? I have heard from lots of people that all HDMI cables are the same. Just buy the cheapest one. Well that may have been true a few years ago when all we wanted was stereo sound and basic high definition TV. But guys are getting more elaborate with their home entertainment systems. 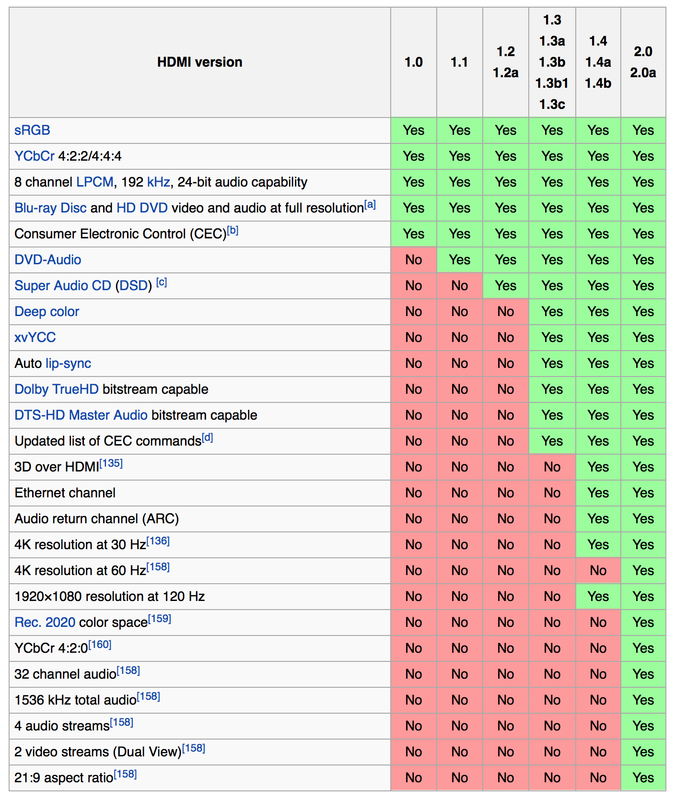 If you have 3D, 4K, DTS-HD, or any new main stream sound or video system. Take a look at this chart. ‹ VALENTINES DAY IS ALMOST HERE!! !